Pink Pills - which is being developed using Arcade Game Designer! 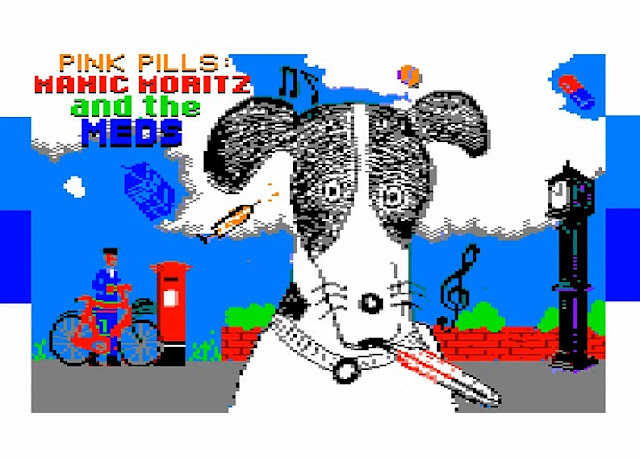 Putting aside the C64 games as now we look towards the Amstrad CPC, as thanks to a heads up by one of our readers, we've come across a game called ' Pink Pills ' which is being developed using Arcade Game Designer and coded by Sebastian Braunert. 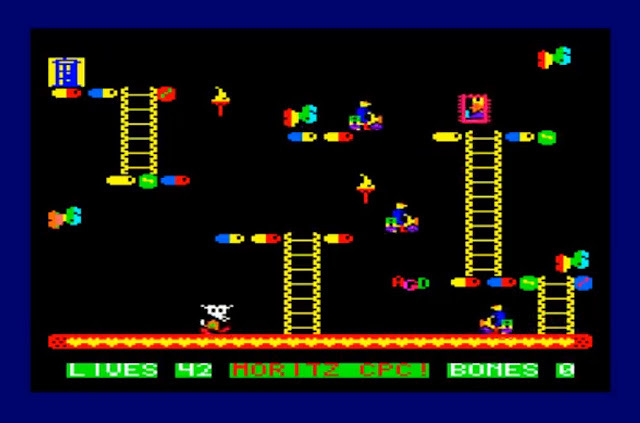 Looking like an old school platformer, in this game you play as Moritz and must collect all the bones in each of the levels while avoiding crazy enemies. Re: Pink Pills - which is being developed using Arcade Game Designer! To correct some little "fake news": I did not do the soundtrack. But the speccy-version of agd has a tool to insert pt3 music. And the speccy version of Pink Pills plays some tunes. So I'm helping Sebastian to modify AGD to play his tunes on CPC. I am doing some little AGD games. Great, will check it out! I'm only stopping playing to go to bed, but I have to say that it's good fun. And the tunes are marvelous! This week so far has been awesome for gaming news and the best news so far has just hit our inbox. As we've been told Sebastian Braunert's Amstrad game of ' Pink Pills ', which was developed using Arcade Game Designer with a team such as Kees van Oss and Uwe Geiken, has been released for the Amstrad CPC and is well worth checking out. Looking like an old school platformer, in this game you play as Moritz and must collect all the bones in each of the levels while avoiding crazy enemies. Page created in 0.13 seconds with 51 queries.